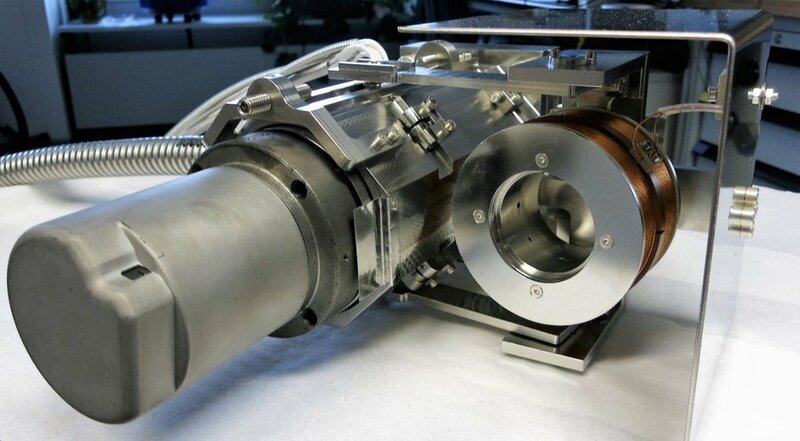 A magnetically driven Fast-Ion Loss Detector (FILD) system has been designed, assembled and will be installed in the ASDEX Upgrade tokamak. The device is feedback controlled to adapt the detector head position to the heat load and physics requirements. To analyze its mechanical behaviour, dynamic simulations have been performed including effects such as friction, coil self-induction and eddy currents. A real time positioning control algorithm to maximize the detector operational window has been developed. This algorithm considers mechanical resistance as well as measured and predicted thermal load. The installation of two new Fast Ion Loss Detectors (FILD) will complete the poloidal array. 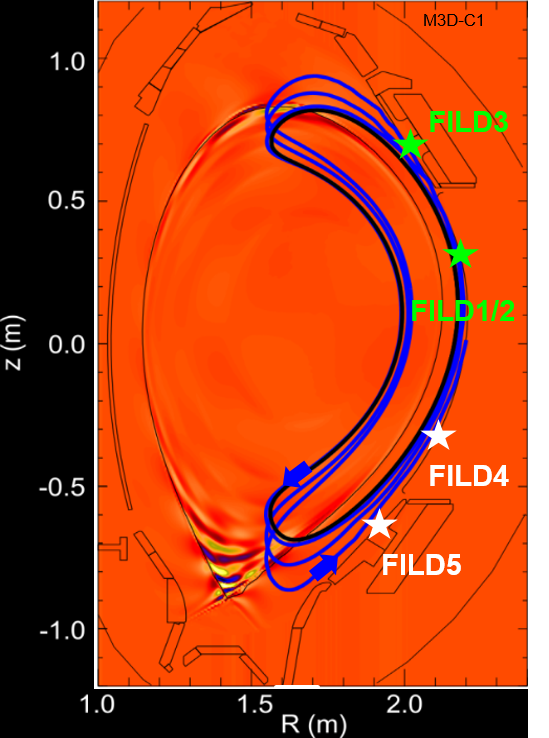 FILD1 and FILD2 (covering the same poloidal position), and FILD3 close to the upper divertor. FILD1 is mounted on the midplane manipulator while FILD2 and FILD3 have their own reciprocating system. FILD4 will be installed above the lower PSL tails and is moved by a Magnetically Driven Reciprocation System (MDRS) opening the possibility to a real time adaptive position control. FILD5 is moved by a mechanical feedthrough installed in port Cu7/1/3. The detector head is located right above the divertor and in-between two B-coils, probing directly the perturbation of the magnetic field in front of the FILD. Although several diagnostics for confined fast-ions are being proposed for ITER, a lost alpha diagnostic has not been approved as of yet. The harsh environment in ITER – a nuclear installation – places a number of constraints on standard fast-ion loss detection techniques unprecedented in present tokamaks with easier access and more tolerable conditions. On the basis of the physics requirements, the ITPA Energetic Particle (EP) Topical Group (TG) has started to undertake a conceptual study of four different and complementary fastion loss detectors for ITER: a reciprocating Fast-Ion Loss Detector (FILD), a fast-ion loss monitor based on edge gamma radiation, an under-the-dome detector, and a dedicated infrared system. 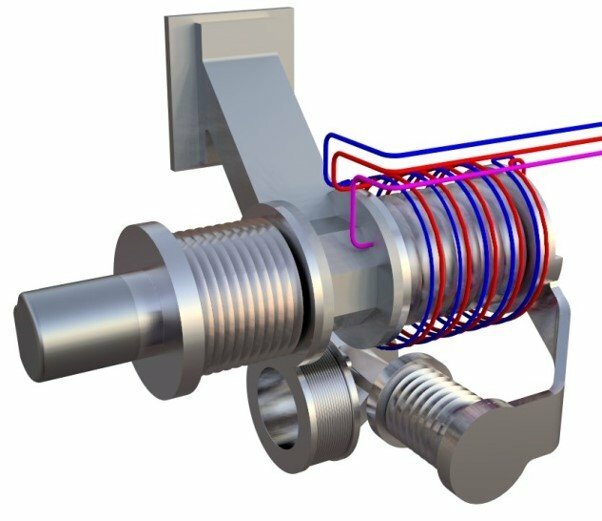 Based on the ITPA EP TG prioritization, the Port Plugs and Diagnostics Integration Division at ITER Organization has recently initiated an effort to develop a conceptual design of a reciprocating FILD in ITER in close collaboration with the PSFT group.